Should You Feed Your Pet Snake Pre-Killed Prey or Live Prey? 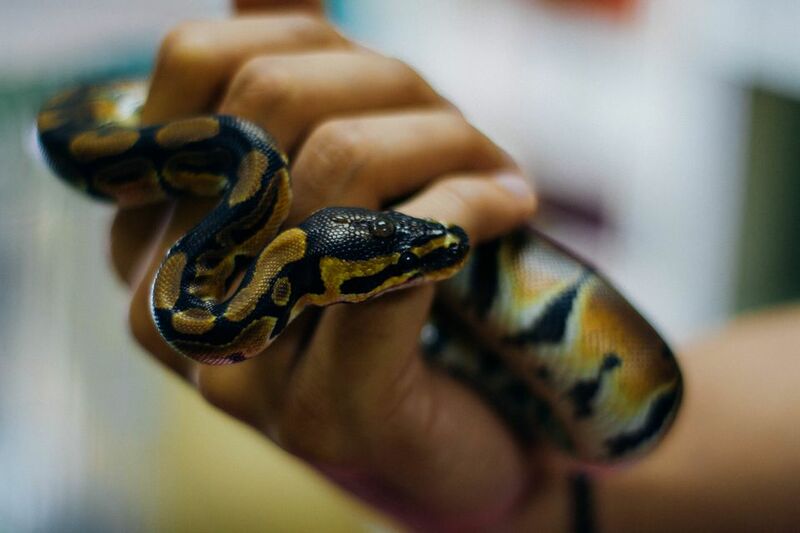 Feeding snakes is a controversial topic among reptile keepers. Some people feel it is best to feed the most natural diet in the most natural way possible, regardless of risk to the pet, while others feel it is safer to feed a natural item in a safer manner. The key points to remember are that feeding pre-killed prey to pet snakes is safer and more convenient than feeding live prey. If your snake is unable to quickly kill a live prey item, the prey can inflict some nasty wounds on a snake since they are kept in a confined area. This is especially true if you are feeding rats (for example to a large python or boa constrictor) but even a small mouse can cause injury to a snake. Injuries can happen if your snake isn't hungry enough to hunt the live prey right away or if it tries to kill the prey but doesn't have full control over the prey or is unsuccessful with its strike. The mouse or rat can bite back at your snake hurting it during a strike, or worse yet, if your snake doesn't show any interest in the prey, the mouse or rat may get hungry or bored and start chewing on your snake since neither of them have anywhere to flee. In the wild the prey will run away and the snake won't even attempt to eat it if it isn't hungry. In a captive environment, owners typically put the snake and prey item in a small container where they are kept together. If the snake isn't hungry and the owners leave it with the uneaten prey for too long of a period of time then injuries can occur. As a safer and easier alternative, feeding pre-killed prey allows you to buy frozen prey items and stockpile them in the freezer so it is easier to have the proper sized prey on hand at all times. Running out to the pet store for food every time your snake needs to eat or raising your own prey can be more expensive and time consuming than feeding pre-killed and it doesn't guarantee you will be able to get the right sized prey when your snake is hungry. Some pet stores will also sell frozen prey or fresh killed prey which you can then freeze for later. By feeding pre-killed mice or rats you will avoid any potential injuries to your snake. Do Snakes Eat Pre-Killed Prey? Most snakes take fairly well to pre-killed prey (wild caught snakes may have trouble adapting) although it is best if they have been accustomed to pre-killed prey at a young age. If your snake is currently eating live prey you may need to start out by offering freshly killed prey at first (some owners are not comfortable doing this themselves). Frozen prey should be completely thawed and warmed slightly before feeding (defrost in the fridge or in cold water, not at room temperature, then warm slightly in warm water just before feeding). Never microwave prey items. Dangling the pre-killed prey and wiggling it a bit with tongs (never hold prey with your fingers to avoid being mistaken for food) can help entice a snake to take the prey. If your snake is still reluctant to eat, you can try dipping the prey in chicken broth, pithing the prey (puncturing the skull to expose the brain), or cutting the prey open to expose blood to your snake. If all of these ideas fail you you may need to try a different color or species of prey item or your snake may be about to shed.